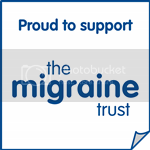 Migraine Monologues: A glorification of migraine? Yesterday, prolific journalist Eva Wiseman wrote a somewhat surreal piece about her experiences with migraine. Specifically she described how her aura manifested and depicted something known as Alice in Wonderland Syndrome which, as you may have guessed, is named after that famous work of fiction. Lewis Carroll suffered from migraines and many believe his visual auras influenced his work. For migraineurs, Alice in Wonderland Syndrome (AIWS) is a specific type of aura where body parts usually seem distorted, becoming either much larger or smaller, hence the name given to the condition. While Wiseman's article is, I believe, beautifully written it has created something of a stir amongst the migraine community. Why? Because it appears to be glorifying migraine. One reader commenting on the article wrote: "I've never had a migraine. After reading this article I'd like to have it at least once. :-)"
And maybe now someone who doesn't find migraines quite so visually intriguing or creatively stimulating will get to write a counter argument? Guardian editors if you're reading, I'm currently available! What do you think? Where you enraged or enlighten? 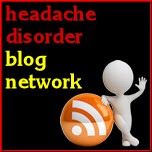 I think some people love to jump on people who write about migraine and criticize them. I agree with you that it's great that she's even writing about it, and I fault the idiots who are dumb enough to think a migraine sounds fun, not the writer describing her experience. I think in some ways it was written a little tongue in cheek, almost throwing up of the hands in the air and saying, 'ok, I hate it but it has some parts that I have embraced and tried to accept as a form of art rather than to be feared'. She's lucky to have gotten to that place. I have tried to so hard to embrace the weird phase of migraine auras, I am convinced that by going with it, not being scared of it must help get through the process and be less traumatised.It may even sometimes lessen the severity, I'm not sure. However sometimes this works for me and the rest of the time I am as terrified now as I was 30 years ago when I had my first one. As Victoria says, it was really a rather clever article as it sparked a lot of different responses and debate. That is good. Newspaper articles rarely tick all the boxes as they are done with the motive of selling papers, not helping to educate others on us long misunderstood migraineurs. Wishing you all a migraine free Monday. It is a well written article and it did spark discussion which is a good thing. What was missing was the fear and anxiety that an aura can provoke, especially the first one. Many people rush to the emergency room, convinced they are having a stroke. The way the author described her aura, it did sound fascinating, and almost desirable in a mind-bending sort of way. Don't hate people who don't know what it's really like. They really can't have an appreciation for it; empathy at best. now theres a surprise! i thought it was just me! i also HATE WITH A VENGEANCE angel perfume, and the women who wear it. sorry ladies! even if it doesnt spark an attack - it lingers FOR EVER. just what has thierry mugler PUT in his foul concoction? why on earth is something so foul and the entire opposite of a pleasant smell, as popular as it is? right! i shall go and read the actual article now ive got that off my chest! thanks!